Resting along 850 meters of unspoilt white sandy beach, embraced by lush green hills and sparkling blue ocean, Katathani Phuket Beach Resort recalls a tropical dream. Warm sands, the soft rhythm of lapping waves, and gently swaying coconut palms relax your senses—while our five swimming pools, six restaurants, and full-service spa delight them. Katathani Phuket Beach Resort is located on the Southwest coast of Phuket Island in secluded Kata Noi Bay, less than an hour from Phuket International Airport—and a world away from all care. 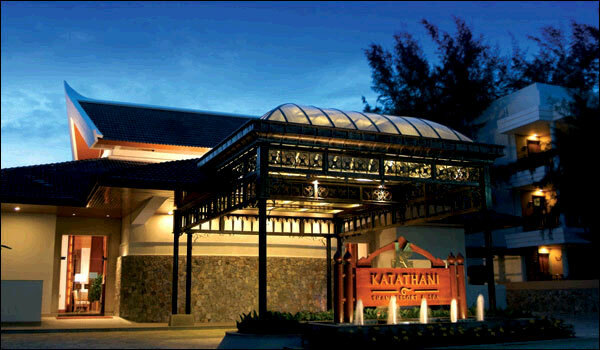 Katathani Phuket Beach Resort offers 479 low-rise guestrooms and suites, all with private balconies or terraces facing onto the ocean, pools or our tropical gardens. Choose from the beach-front suites in our luxury Thani wing or the garden setting of our superior Bhuri wing—both newly remodeled in contemporary Thai design that weaves the sensual beauty of nature into every element. Set against the forest-covered hills, featuring pool-, garden-, or ocean-views, our superior rooms are designed to envelope you in an atmosphere of natural tranquility. Our best-value accommodation has ample room for a family of four. Generous balcony overlooks garden or ocean, with interior day bed for relaxing out of the sun. Deluxe, carefully appointed ocean-front suites feature panoramic vistas of the Andaman Sea from the balcony/terrace, bedroom or day rest area. Bath is tucked behind louvered panels that can be opened for ocean gazing or closed for complete intimacy. Our “grandest” suite features a living/dining room, shady bedroom with king-sized canopy bed, extra-large dressing room, and double-sized bath with separate shower. Floor-to-ceiling windows in every room surround you with stunning views of the gardens and sea. Watch the sunset while relaxing in the oversized jacuzzi or prepare a cool drink at the wet bar for enjoying on the private sundeck. For maximum convenience and comfort for the whole family, our two-bedroom family suite accommodates up to four people. Each bedroom has its own private bath and balcony, offering both sea and garden views. Large living room/dining room is perfect for enjoying in-room meals and family activities. 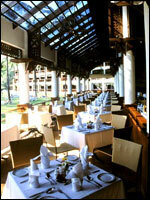 Relax to the gentle tones of the Thai kim while you dine on the subtly spiced dishes of Thailand’s aristocratic heritage. 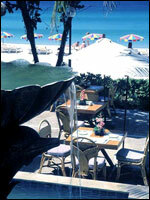 Savor the freshest grilled seafood right on the beach. A favorite spot for enjoying light lunches and a drink at sunset as well. Amidst this peaceful and tranquil surroundings is the recently expanded Tew Son Spa, part of Asian Wind’s collection of fine Phuket spas which offer a broad range of therapies based on their success with both the local and international visitor. 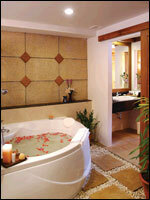 It is a haven of relaxation where the secrets of beauty and balance are at your finger tips. In the sanctuary of your single or couple suite, we offer a divine menu of Massages, Facials, Body and Beauty Treatments, utilizing both professional Aromatherapy products and carefully selected age old Thai beauty formulations, aimed to heal your body and clear stress from your mind. In particular, the Casuarina Leaf Enzyme Wrap, our signature treatment is not to be missed! It has been designed exclusively to pamper your body with the healing enzymes from the casuarina pine needle and to refresh your mind with the heavenly aroma of bergamot. Tew Son Spa also incorporates private and shared Aromatic Herbal Steams and the mesmorising views from our rooftop Jacuzzi of the Andaman sea. So, step in, unwind, and let our exquisite service, the healing touch of our therapists and the unforgettable essence of the spirit of Thailand, restore the lustre of life that you’re searching for. Five nature-inspired Swimming Pools, both fresh- and salt-water, and three Jacuzzis complement the azure Andaman Sea, just steps away. Pamper yourself with one of the complete body and spirit packages at our luxury Tewson Spa or relax to ocean breezes and the sound of the surf with a poolside Massage, Manicure or Pedicure. Other personal care facilities include a full-service Hair Salon and private Health Clinic. For the active vacationer, we feature two Fitness Centers, a Dive Shop, two Tennis Courts, Aqua-Aerobics*, Petanque and Table Tennis. If your taste runs to quieter pleasures, try our Sauna, Game Room, Billiards, Thai Cooking Classes, or Library. And to please the whole family, we have a Nightly Musical Review*, as well as a Kids’ Club to keep the little ones active, so you can do nothing at all. From our Jim Thompson Thai silk boutique to our fine Jewelry and Gift Shops, we make sure you don’t have to go home empty-handed. On selected nights, our private Night Market* offers you a charming array of work by traditional artists and craftsmen from around the island. 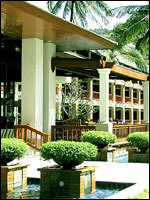 World-class 18-hole Golf Courses at Phuket Country Club and Loch Palm Golf Club are less than 30 minutes away. 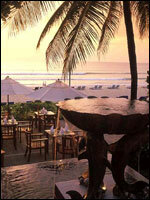 Other nearby activities include diving, snorkeling, sea kayaking, parasailing and mini-golf. Our tour desk arranges a variety of tourist activities as well as excursions to neighboring islands.